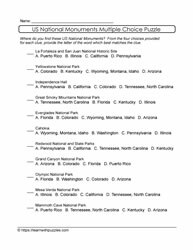 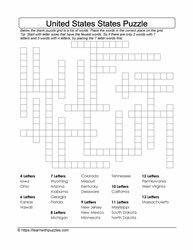 United States states puzzles to challenge students' problem solving strategies. 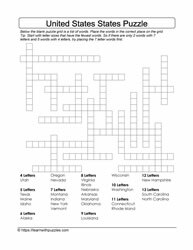 Word search puzzles, crosspatch puzzles, crosswords, scrambled letters, cryptolist and cryptogram puzzles. 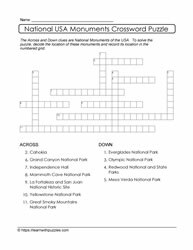 Remember to check back often as we continue to regularly add puzzles to our website.